The Dell™ PowerEdge™ R510 Refurbished Server is a multipurpose 2-socket 2U high-capacity refurbished rack server that offers an excellent balance of internal storage, redundancy, and value. This rebuilt and refurbished server is ideal for customers needing large amounts of internal storage capacity and/or seeking a multi-purpose core application server. Optional Services Services: Consulting, Upgrades, Installation, Configuration, Onsite Maintenance / Extended Warranty - For more info, click on the Products & Services tab above. For more specs info, download the OEM's brochure. 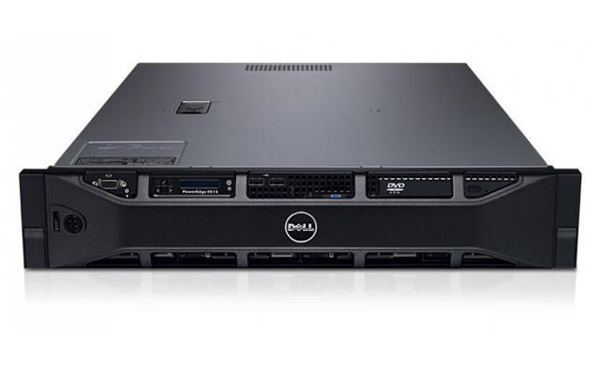 The Dell™ PowerEdge™ R610 Refurbished Server offers simplified management with a purposeful design. Dell PowerEdge M610 Blade 2 x 25"
The Dell PowerEdge M610 Refurbished Blade Server has become a cornerstone of high-performance data centers. Pack more computing power into a space-challenged data center with the refurbished Dell PowerEdge R620 8 Bay Refurbished Server. Dell PowerEdge R730XD 12 Bay CTO Chassis 3.5". The Dell PowerEdge R730XD 12 Bay Refurbished Server is an exceptionally flexible two-socket 2U rebuilt rack server.